Environmental Policy, Environmental Technology, Paris Agreement, Public Policy Issues In Environmental Management. 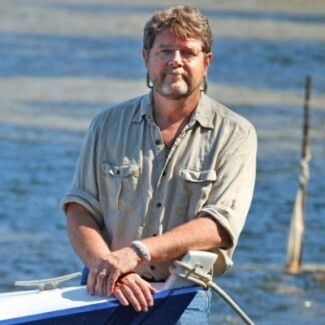 Cronin is known internationally for his 17 years as Hudson Riverkeeper, a position that has inspired a legacy of 200 Waterkeeper programs that fight pollution on six continents. For this work, Time magazine named him a “Hero for the Planet” and the Wall Street Journal called him “a unique presence on America’s major waterways.” Cronin also served as an aide to Republican Congressman Hamilton Fish, Jr. and as an aide to Democratic Assemblyman Maurice Hinchey. He was the lead environmental negotiator for the New York City Watershed Agreement, and was the author and lead lobbyist of three state environmental laws. While New York City is typically associated with things like the Empire State building and the Statue of Liberty, John Cronin thinks we should add whales to that list. Cronin, a renowned environmentalist and a professor at Pace University, said, "We should. New York City is a water city." He says the regulatory change is needed to require the EIS under the National Environmental Policy Act. “This is a very serious proposal and we want to make sure that we give each and every comment, each and every section and issue the due attention that it deserves,” Conroy says. John Cronin is senior fellow for environmental affairs at Pace University’s Academy for Applied Environmental Studies in the Dyson College Institute for Sustainability and the Environment. The students’ victory marks Pace University’s first-ever win at the Debating for Democracy competition, and faculty couldn’t be more proud of the scholars’ accomplishments. “We are extremely proud of Rowan and Christina for their stunning performance at the competition, and for representing Pace University with intelligence and distinction,” said John Cronin, senior fellow at the Dyson College Institute for Sustainability and the Environment. There is a story taking shape in the New York State Legislature. It does not involve campaign donations, wiretaps, no-show jobs or the United States Attorney Preet Bharara. It involves elephants. Stick with us here. This is about a modest but heartening development in a place better known for its crooked deals and other abuses of democracy. Some students at Pace University in Pleasantville, N.Y., have not given up on the Legislature. They believe they can, through reason alone, get it to ban the use of elephants in performances in New York.